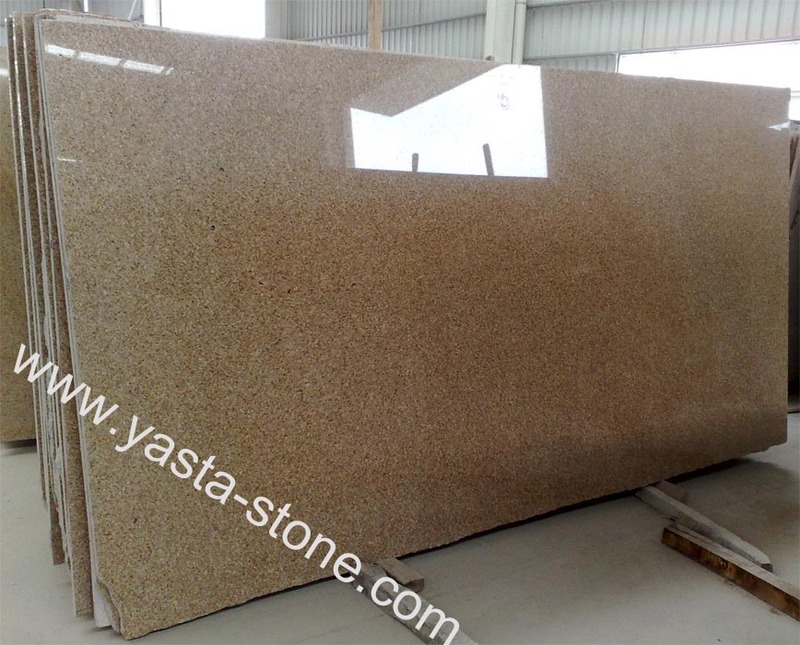 G682 granite slab from China yellow granite,it is also called yellow coast,golden yellow sometimes.Slabs size 1400mm x 2700mm x 20/30mm is available. It is a economical granite and widely used for all kinds of decoration include tiles,wall cladding, cut-to-size,counter top,vanity top,kitchen countertops, bath vaniytop,arc board,window sill,threshold, paving floor. Suface processing include polished, flamed, honed, nature, bushhammered, tumbled.